When the news of the death of this fine gentleman, working with one of the prominent banks in Ghana, reached me, I became devastated. But honestly, we saw it coming. His family, friends and colleagues at work knew he would soon be gone forever. I remember my first meeting with him through a friend, a little over two years ago, at work when it was confirmed that he has tested positive for the viral hepatitis B infection. Not knowing what to do, I got closer to him, took him through some counseling session and encouraged him to get his follow up tests done as soon as possible. His results were not too good and so he had to start treatment by the recommendations of his physician. Although it was difficult in the beginning, but some of his family members were helpful. They made some contributions to support his laboratory investigations and treatments. He did well on his treatments for the first six (6) months. He was always seen at the hospital every month and he never missed his counseling session with me. He was doing great. Unfortunately, he stopped coming for his treatments. He was not showing up for counseling anymore, he was always giving assurances that he will show up but never did. This went on for close to eight (8) months. He virtually defaulted in his anti-reteroviral treatments for close to eight (8) months. During those times, I enquired from the friend through whom I met him. He informed me that the gentleman has been on some herbal treatments, which were recommended to him by his parents and that they said it could cure the infection. I didn’t believe it, so I made some time after work to see him and verify for myself. Unfortunately, it turned out that it was true. He has been on the herbal treatments and that was why he wasn’t coming to the clinic for his routine treatments and managements. I felt so disappointed in him. I told him it was so wrong for him to do that. It could result in terrible complications but he said he’s giving it a trial for some time. Some few months afterwards (about 2 months), I was informed that he’s been admitted at the hospital. His laboratory results were so bad with very elevated liver enzymes. By that time, he looked so sick with swollen limbs and distended abdomen. There i could see that the unthinkable has happened. His liver was failing. He was sent to another facility for a liver ultrasound and the revelations were terrible. It was too late. He was going to die. His family decided to give up on him. He was brought back home where he died some few days afterwards. He left behind a beautiful wife and a daughter and both had already received their hepatitis B vaccination. This fine gentleman’s experience reminded me a beautiful poem, Rediscovery – by the late Prof. Kofi Awoonor. And I quote…. The poem is quite an easy read and so I will leave much of it to your own interpretation. By saying ‘our tears are dry’ (line 1), Awoonor is telling us that his poem has something to do with mourning but then also, it is about hope. He goes on to paint different images of mourning for us, about “fishermen [carrying] their nets home” (line 2), “seagulls [returning] to bird island” (line 3), and the recession of the laughter of children at night (line 4). Rather than be only about mourning, this poem is about hope, for which reason it is titled, ‘Rediscovery’. Awoonor says that after all the mourning has been done, there still will remain “the communion we forged” (line 5). Awoonor stresses that after those persons who we mourn have gone and we have left the mourning grounds, there will still remain the “feast of oneness whose ritual we partook of” (line 6), with them while they were alive with us. The parting will not be easy, so that “the eternal gateman” (line 7) has to “send the late mourners away” (line 9). Going on here, he tells us that the memory of what will remain most, after the communion feast we shared, will not be the music that accompanies their funeral but rather “the new chorus” (line 12) of those who have left us, “our forgotten comrades” (line 12) and in response, “the halleluyahs of our second selves” (line 13). The ‘forgotten’ are not forgotten literally but he uses the word to say that they have passed on. The second selves Awoonor talks about makes me believe that he meant that with every person that we lose, we still stay connected to them by an inner, higher being, or the better us, responding to the chorus they are gone on to sing. We Rediscover our inner selves – the title. Just read the poem over again with this understanding and reflect on the fact that today, this fine gentleman once lived amongst us, at a point when complications had set in he could no longer be present at work and this had a huge toll on productivity. Some of his family and friends had to leave whatever they were doing and take him through his final days on earth. I remember at a point, they had to take him to some other facility in the regional capital to drain the fluids which had accumulated in his abdomen. Only God knows how much time and efforts, not forgetting about the financial implications he had to spend until his demise. If only we could learn from this and address the issue surrounding viral hepatitis infections in our nation, so many people’s lives would not be lost. All parents, siblings, and other household members should be screened and the eligible candidates vaccinated. 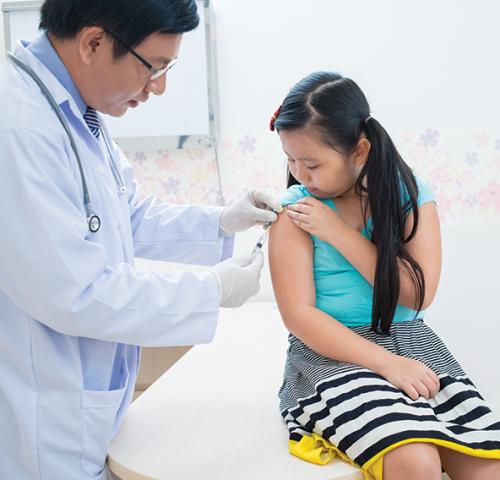 Extended family members, childcare providers, family, friends, and others should consider vaccination if they have frequent and close contact with infected people. If people are unfamiliar with hepatitis B, there is a possibility they will become alarmed when they learn that someone they know has chronic hepatitis B. The key to reducing people’s anxiety is to give them clear, simple facts. Hepatitis B is not transmitted casually. It cannot be spread through the sharing of toys, sneezing, coughing, spitting, or hugging. Hepatitis B is spread through blood and infected bodily fluids. Therefore, it could be spread through bites and scratches that result in broken skin. Inform people that there is a safe hepatitis B vaccine and that there are approved treatments for those infected. Not everyone who is infected would require treatments, if your results confirms that you will require treatment, get it from the right place. Seek counseling for the right place.